Not sure where to start with your custom headwear design? Curious about how much your cap will cost? Use the form below to provide our custom headwear team with as much information as possible. You may want to reference our design and decoration options pages for ideas. 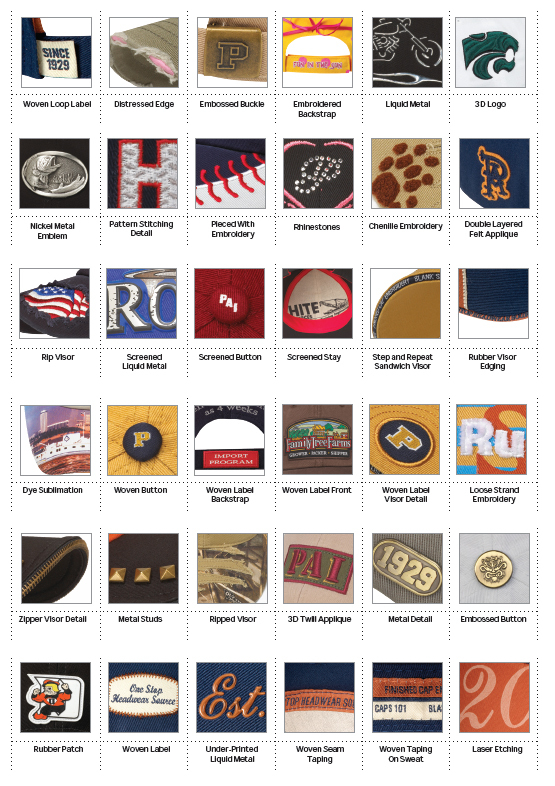 With this information our design team will create virtual samples for your review to assure that we are capturing exactly what you envision for your custom cap Once our design team has created a virtual cap design that you are satisfied with, we will produce and send an actual cap sample made to your specifications at no cost. But it all begins right here with the survey. Please fill our the form entirely and send this along with your logo. Instructions are located at the end of the survey. Which of the following best describes the main purpose your headwear will serve? Which of the following best describes your target market? Which of the following best describes your vision of your custom headwear? Which of the following best describes the cost of your cap? Attach Your Company's Art File Here! Upload jpg, jpeg, png, gif, or pdf file types only. Enter numbers and letters below without spaces.